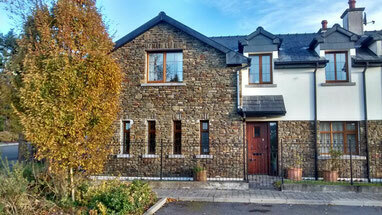 9 Four Winds, Featherbed Lane, Kinsale, Cork, P17 E681. My office is centrally located, approximately five minutes’ walk (500m) from Kinsale Medical Centre/SuperValu. Approached from the Cork side of Kinsale, it is approximately five minutes’ walk (500m) from Kinsale Lidl. If travelling from Cork city (16 miles); you will pass the Top filling station before entering the town. Take the first available right turn after the filling station. My office is very nearby. For West Cork clients, I am 12 miles from Bandon, 22 miles from Clonakilty (when taking the coast road), 29 miles from Dunmanway, and 42 miles from Skibbereen (also taking the coast road). When travelling from West Cork, take the first available left turn before the Top filling station, located just outside Kinsale (main road to Cork). My office is very nearby. For clients coming from East Cork, North Cork and Mid-Cork: my office is 30 miles from Midleton, 29 miles from Cobh and 21 miles from Little Island; 37 miles from Fermoy, 38 miles from Mallow, and 21 miles from Blarney; 27 miles from Macroom, 20 miles from Ballincollig, and 15 miles from Carrigaline. Typing 'Kinsale CBT' into Google Maps will get you to my office. I can also provide you with specific instructions depending on your location, when making your initial appointment.